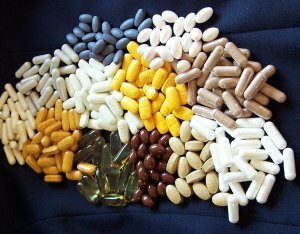 Why Nutritional Supplements? Do you need super supplements? Do you live on an organic farm and eat only products grown or raised there – only vine or tree-ripened produce and fruits? If you do, and that’s a big if involving less than 1% of the population in developed countries, then you don’t need to take nutritional supplements. Otherwise you do need nutritional supplements every day of your life. What Percentage of North Americans Eat This Way? •	About 1% of B.C. women!! David Anderson, M.D. White Rock, B.C. RDA are rock bottom requirements and way below the level needed for good health and to prevent today’s degenerative diseases. Initially developed for diseases like scurvy, pellagra and rickets they are woefully out of date. They are being upgraded.Paradoxically as the levels are raised, an even smaller percentage of our population would meet the RDA levels. This is a shocking picture and it helps to explain the increasing rate of degenerative diseases. As people get more and more of their nutrition from the empty calories of fast foods, processed foods and fruits and vegetables that have been depleted in vitamins and minerals this shocking picture will get worse and worse. Given that we have lots of evidence about the positive effects of dietary supplements we should all be looking for high quality super supplements. If you have not read the page on our food supply you can review that now (opens new window). So you can make poor food choices as most people do and your health is jeopardized. Or you can make excellent food choices and your health is jeopardized (unless you live on an organic farm that has good topsoil and consume properly ripened produce – fruits and veggies). So 99% of us are between a rock and a hard place. What’s the way out? What do we do to protect our health. The base of the solution is Healthy Eating. You can review that here if you haven't seen it or want to reread it (opens new window). But even with that base in place you will still need super supplements for health and to prevent degenerative diseases. Let’s take a quick peek at some general statements from medical journals, outlining the need for nutritional supplements. World renown medical journals have many studies of this type. These few pieces of evidence demonstrate the effects of dietary supplements and substantiate the need for super supplements. The super supplements I personally rely on can be found here (opens new window). As you continue through this site, on the next page "Top Rated Vitamins - Quality Does Matter" you'll find out a lot more about why I think these are indeed super supplements and why they have been certified by independent organizations. But there is a lot more medical evidence about the need for super supplements. These pages will progress to that topic if you follow along. We’ll get to some studies about supplements and specific degenerative diseases. If you want to jump ahead to Alternative Health Care Research that you can do so here (opens new window). I’ll also talk in the section on Weight Loss about the use of supplements when working on trimming excess fat.